Follow these lessons, you should. Need a life coach? 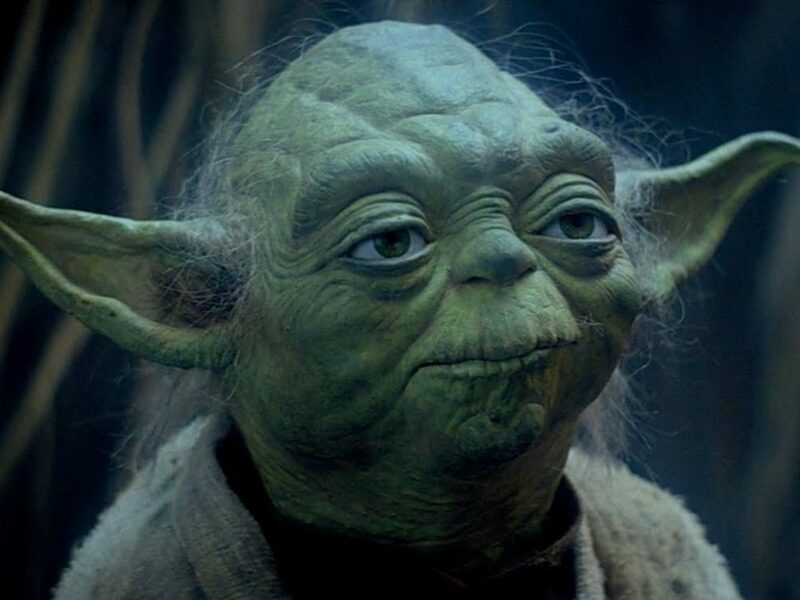 Master Yoda, the ultimate wise and wizened elder of indeterminate origin and unmistakable syntax, is here to help. 2. Stop focusing on the negative and commit. 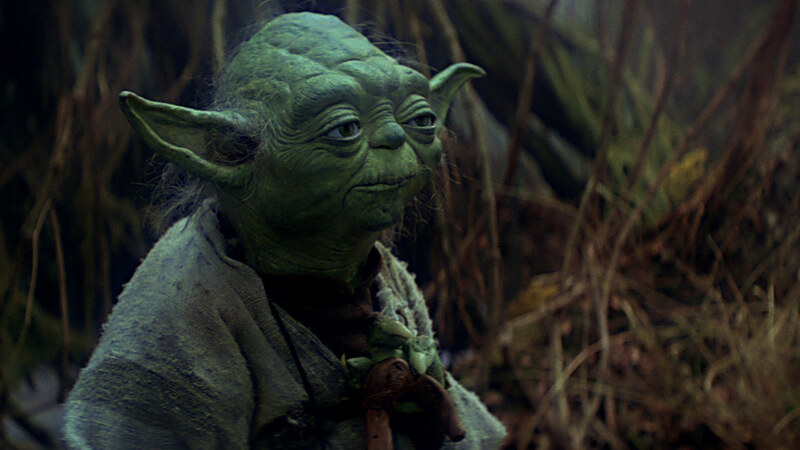 No list of Yoda’s best lines is complete without the classic and infinitely useful meditation on the black and white nature of success and failure. But back up and it seems he’s more specifically warning against undermining your own successes with self-doubt. Luke is positive he’s never seeing his X-wing again after his shaky Force-wielding sends it plunging deeper into the murky swamp water. “You want the impossible!” he cries. We’ve all been there, farm boy. 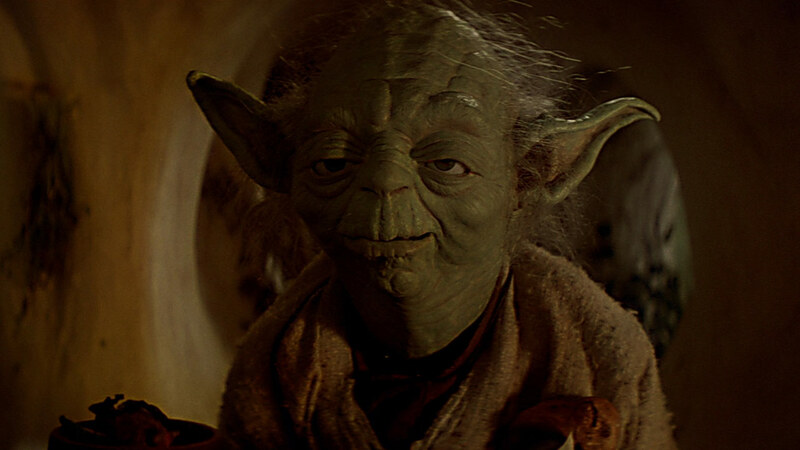 But ever the patient teacher, Yoda demonstrates the error of Luke’s thinking by effortlessly delivering the ship to dry-ish land with the wave of one tridactyl hand. “I don’t…I don’t believe it,” Luke exclaims. Yoda may be infinitely even-tempered but even Jedi Masters have their limits, and he is having none of Luke’s nonsense. “That is why you fail,” he says, in what would come to be known among future generations as the original mic drop. 3. Also, you’re not psychic. Quit trying to predict your fate and bend it to your will. 4. Who’s in charge of your future? Oh, right, it’s you. 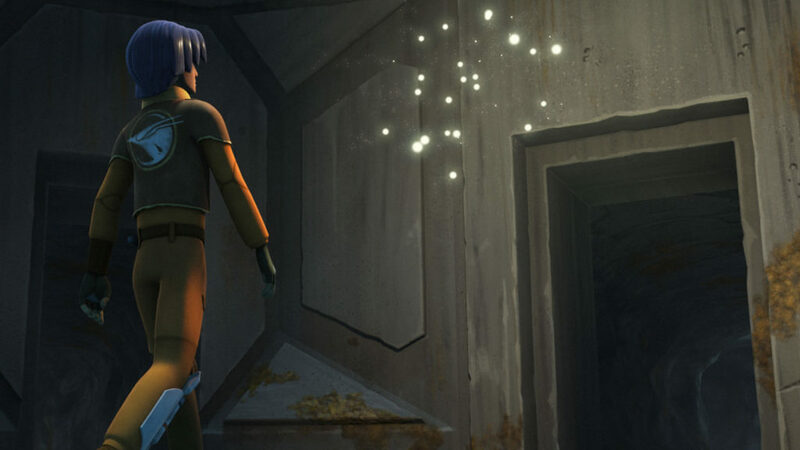 “Which way is the right way?” Ezra asks the ethereal advisor inside the Jedi Temple. “The wrong question that is.” Here’s the truth we all need to hear: Ezra’s journey both literally in the temple and figuratively in his life are his to decide. Most of the time when you’re choosing between two options, they both have pros and cons, but one thing is for sure: No one can make the decision but you. 5. Quit being so selfish and impulsive, man. Or as many a sighing parent has said — the world does not revolve around you! 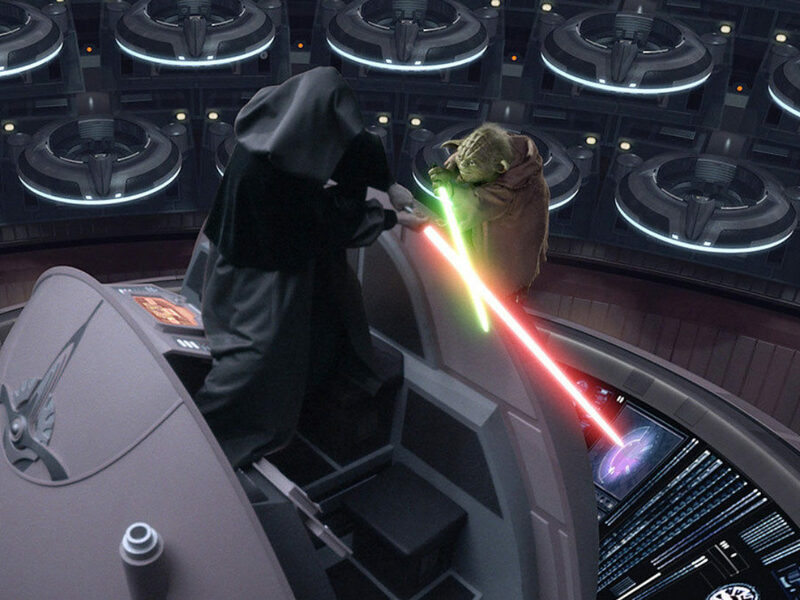 The Rebel Alliance is bigger than any individual person, Luke! Leia knows it. Han, even from the depths of his carbonite slumber, probably knows it. But Luke is still just learning that his decisions impact other people and sometimes he’s not very good at weighing out all the factors. Where’s C-3PO when you actually need him to tell you the odds? 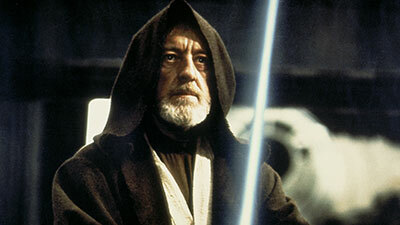 Not even Obi-Wan Kenobi, back from the dead, can deter Luke from his bad decisions. 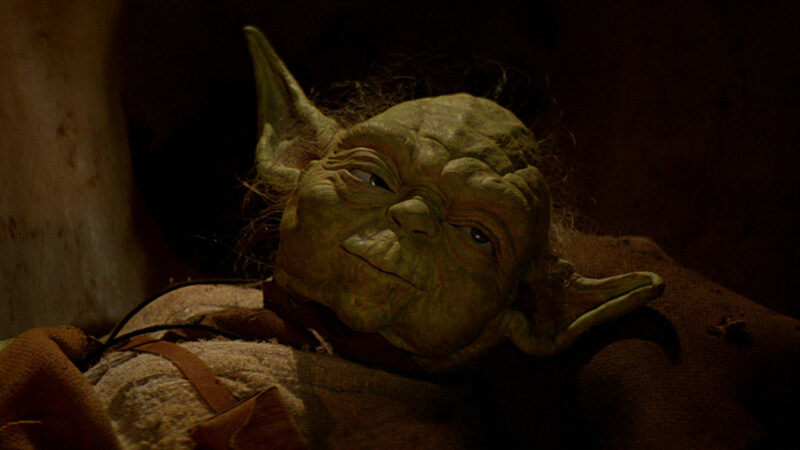 “If you end your training now, if you choose the quick and easy path as Vader did, you will become an agent of evil,” Yoda warns in no uncertain terms. 6. Learn to let go. 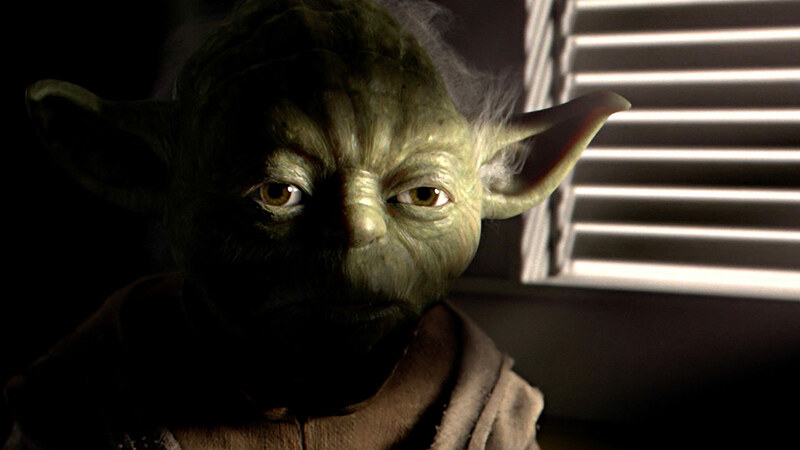 “The fear of loss is a path to the dark side. Death is a natural part of life. 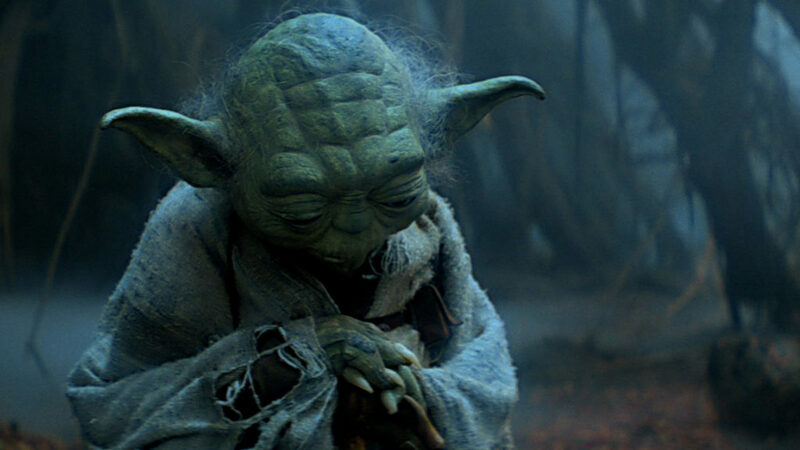 Rejoice for those around you who transform into the Force. Mourn them do not. Miss them do not. Attachment leads to jealousy. Worrying about what we can’t control and clinging to what we think is ours is wasted time and energy. The only constant in life is change. 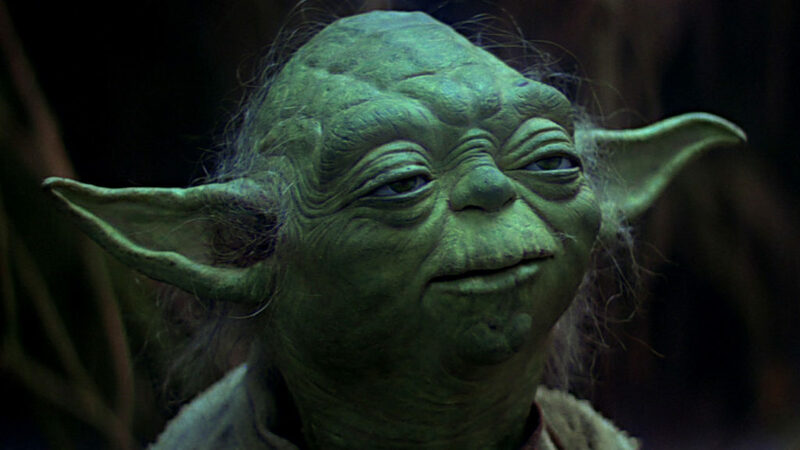 “Luminous beings are we, not this crude matter,” as Yoda says. I’m not crying. You’re crying! 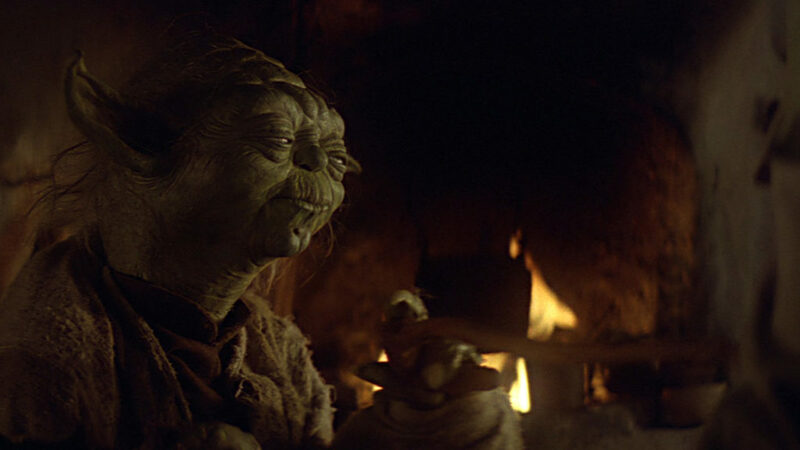 But Yoda isn’t quite finished dropping knowledge on his last Padawan. 7. Don’t make rash decisions. 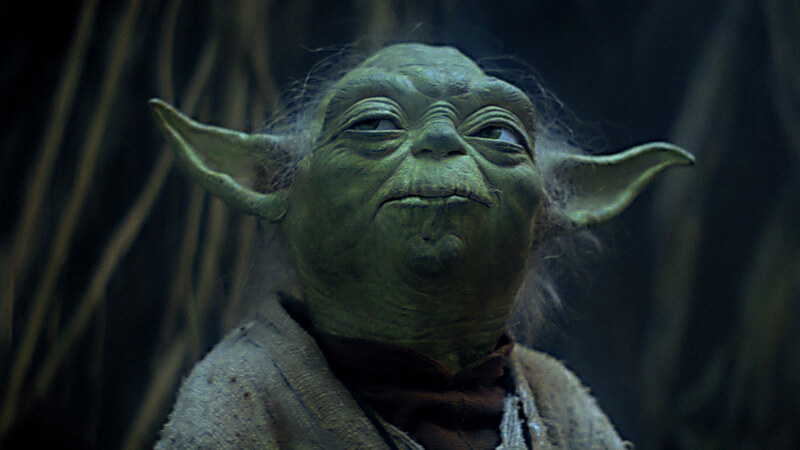 Yoda’s advice tends to have a lot of applications and this evergreen, and twice spoken, wisdom is multifaceted. 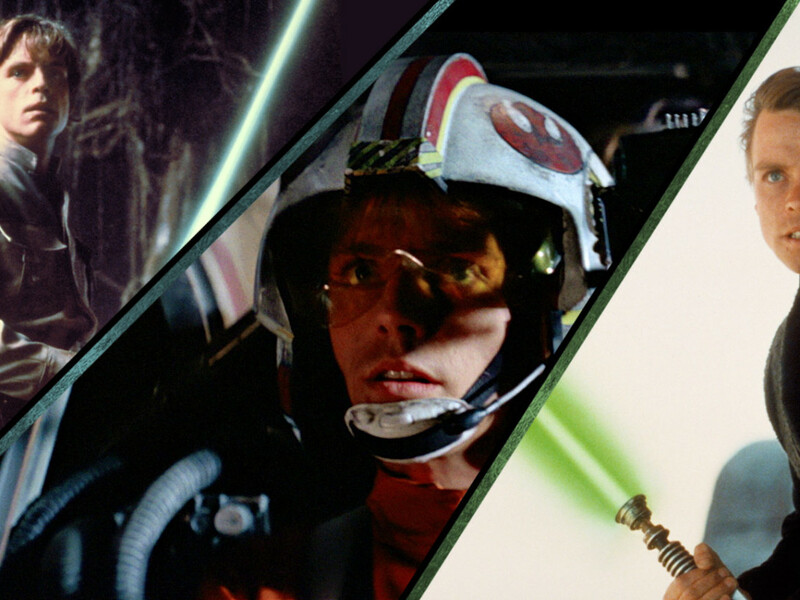 Basically, don’t go full-bore evil and destroy a planet with your shiny new space station. Don’t even give in to smaller infractions like lying about which pet consumed your homework this time. Because once you start rationalizing ways to bend the moral code and cut ethical corners, you’re headed for trouble. In the same vein, making decisions out of fear or anger is going to be a disaster. Seriously, Luke, go ask your father! “Is the dark side stronger?” Luke asks. This sort of goes hand-in-hand with the bit about not being evil. The even-tempered but dogged pursuit of your dreams isn’t going to be easy. You’ll need persistence and tenacity. You’ll need to realize that everything takes time. But it’s the only way to learn and ultimately accomplish your goals. Also, don’t let yourself get hangry and irritable in the process. Take a break and try to relax. Life has a way of working out.